Even when he was in a gang, Lonza Harris Jr. says, his goal was to keep kids off the streets. Editor's note: Lonza "Batman" C. Harris Jr. joined the Gangster Disciples at age 17, and later became its legal and political coordinator. Today, Harris is immobilized as a result of ALS. His story is featured in "The Greens," a documentary he co-produced. The following is an edited transcript of Harris' story, as told to CNN over the phone. CNN cannot confirm all of his accounts. (CNN) -- I think it was the fall, the year my mother told us she'd decided to go to Chicago. We were on the porch back in Arkansas -- me, my nine brothers and sisters -- and she said, "I'll be back to get y'all." It was the first time that we had ever been separated from each other. I was 6 years old. When she came back, we all packed up the car and headed to Chicago. I recall the fields disappearing as we drove further north. I stopped seeing a lot of trees, I stopped seeing a lot of open space. The closer we got to Chicago, there were a lot of buildings and I had to adjust because I was from rural Arkansas. We settled into a four- or five-bedroom house on the West Side of Chicago. When I was 14 years old, our house caught fire. It was the year of the blizzard, 1979. By the grace of the good lord, we all got out safely. We stood across the street and we watched the house burn down with everything we had, with the exception of the clothes on our backs. But the most important thing out of that fire we didn't lose, because we had each other. You couldn't begin to imagine what life was like after that happened. I was a freshman in high school and we had to move to the Cabrini Green housing project. It was unimaginable. Cabrini Green was a tall high-rise, I think 15 stories high, and you got people standing everywhere. You can't even get in your apartment. We moved into an apartment on the first floor with boarded-up windows. Sometimes we'd all be out there in the kitchen or reading in the front room and all of a sudden, someone would come by at night and start beating on the boards -- scaring my younger brothers and sisters. I had a brother, 11 months younger than me, I think it affected him the most. He kept getting in trouble because everyone was trying to adapt. We weren't used to gangs. We were raised in the church, we were raised with morals and values, to respect people. But when we got to Cabrini, those values went out the window. Harris, in red, has nine brothers and sisters. He joined the Gangster Disciples at age 17. And the older we got, the worse it became. Being a young black man in Cabrini, a child, you're on unfamiliar ground. Things happen you never thought would happen. As time goes by, you have to try to make the adjustment. At 17 years old, I loved basketball and I was a very good basketball player. When I'd go to play ball, these Gangster Disciples would always find a way to pick a fight with me. I don't know if they were jealous or what. I can fight this one person, or I can fight these two guys, but all of a sudden I find myself up against 10 or 15 guys, all Gangster Disciples. I got tired of that. So you know the saying, if you can't beat 'em you've got to join 'em. And that's what I did. I was a senior in high school, about to graduate, when I joined the GDs. From that age, from that year, I started making a whole bunch of bad choices. I got caught up in that life even though I was raised to do right. I got a taste of that life, that excitement. Being in a gang in the 1980s was very different than it is today. We had made a transition in 1978-79, from the old to the new. Gangster Disciples had a new concept: We had laws and policies and we had principles. Making the transition from the old into the new, there's going to be complications. And that's where all the problems occurred, trying to make the transition from Gangster Disciples into Brothers of the Struggle. That's the era I came up in. I believed in the guidelines, I didn't believe in what gang members told me because I was strictly about the blueprint. In the beginning of Gangster Disciples, we were scattered branches, tribes as some would say. We didn't have any type of structure. That way we allowed the wind to blow us in different directions. What the new concept did was to bring all the members under one leadership. By doing that, you're gonna have those that would sell drugs, those that would kill people, you're gonna have your thinkers, you're gonna have your doctors, you're gonna have your lawyers: but they're all in the same gang. But they all have different views and different perspectives. So what you have to do to follow Brothers of the Struggle, you have to be the one with the attitude to learn. You have to have dedication, determination, discipline, and you got to stand on that against drug dealers, against murderers, because we're all under one leadership. That's the trouble with making a transition: It's going to be complicated. Some people are gonna continue doing what they want to do instead of doing what the paperwork says. 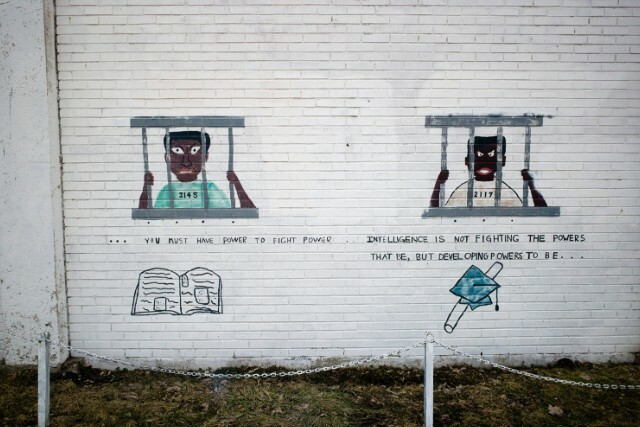 A mural at Lower North Center in Chicago, near the Cabrini row houses. Education, economic, political, and social development: That was the goal. So what happened was, you had greedy people -- and probably poor people, of course -- if they make $5,000 to $10,000 a day selling drugs, what makes you think that they're gonna stop that just because of education or to save a life? We had to stop them the best way we could. In about 1989-90, that's when rock cocaine hit Cabrini real hard. So there was a less unified effort in the '90s than there was in the '80s. Even I sold drugs from 1991-92, and I served some time in prison for drug possession. But I never lost sight of the blueprint. I first joined the Gangster Disciples in 1983 because I wanted to fight man to man -- just so I didn't have everybody jumping on me at the same time. But all the time I was a member of the Gangster Disciples, I had a hidden agenda: to secretly detour kids from gangs and drugs even though I was involved with the gang. I was going to change this one way or the other. I wasn't going to allow one child to be bullied by 10. And sometimes I would lurk in shadows, and I would watch how certain people conducted certain things. And I moved in. In 1987, I became the youth director and a project lead director for Cabrini Green. I had an apartment on the first floor of a church across the street where I got kids off the street -- even though I was still involved with the Gangster Disciples. My objective and my goals were the same: to keep kids off the street. That worked out pretty good, until I got into a real confrontation with members of the Gangster Disciples about the way things were going. At that time, in 1990, I was ready for whatever Cabrini threw at me. They already changed stuff around in the Green, they were killing each other. So there was a confrontation with guns because my hidden agenda wasn't hidden any more. There was no secret to Cabrini Green what I was about. It was out in the open. You got all these gangbangers, but they ain't following the concept. They're doing what they want to do. They call Vice Lords and Stones, they call them "opposition" under the old law. But we ain't got no opposition no more. We were all Brothers of the Struggle armed with the new law. So when they tried to make moves to hurt my family members who were part of the "opposition," I made moves to hurt them. 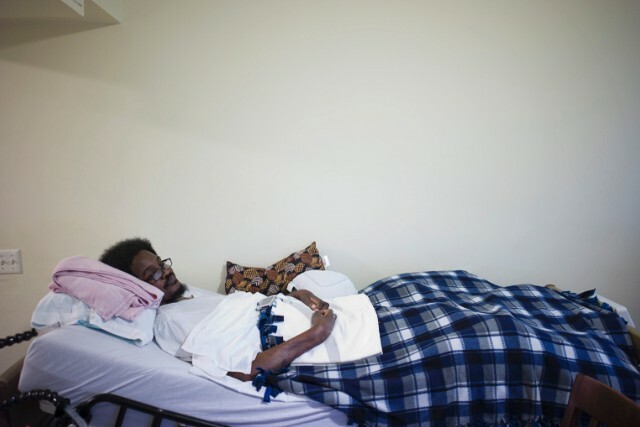 Harris, 48, is bedridden with ALS and lives with his mother who cares for him. There were a lot of lives being torn, a lot of propaganda. By Lonza C. Harris, Jr.
America, during these troubled times, so much is at stake. Many years have slipped away, America awake. Hatred reared its ugly head, But our flag was still there. Time is in a hurry, don't worry about the wrong, America there's a right near the night all alone. Americans put under, gaining strength in numbers. So few proudly hailed, during the night those dreaming, by dawn's early light, the twilight last gleaming. Hope never abandoned, my country tears flow free, love will conquer all. America our destiny is to love one another, in God's hand lay our trust, and by the break of day, he will bless America. After certain members were killed or disposed of, a younger generation came forward in the 1990s. They didn't have no type of structure. They only live by their own laws. Like right now in Chicago, there's no type of guidance or leadership. It's all about self. And this has been going on for a while. There's no structure. There's no unity. Everything's gone. Cabrini Green, the high-rises, are gone. Over a period of time, the organization has dwindled down to almost nothing because there's nobody -- I don't want to say there's nobody like me left -- but there's no one to step up and take the initiative to at least talk to young black men. So it's like we're fighting a losing cause. But ain't nobody willing to fight for what's right. Everybody's got their own cliques, and the murder rate, and people being scattered around the city because they tore down the majority of the towers. I'm no longer a member but I still feel that love for the struggle. That's going to go to the grave with me. In a gang or organization or whatever, you're gonna have people with talent. I was a very good basketball player so that piqued the interest of gang leaders. Plus I was a very good writer; I'm a poet too. I would bring those two talents that I had, I would bring them together -- that way, I became untouchable. I don't know a GD alive that doesn't love basketball, so that way I was behind that shield. Whenever our top leaders come around, they knew my name, they knew who I was. I took time to teach the kids how to play. That's something the gang can't take from me. Now these kids are grown, with kids, and they still talk about me. I would take time with them behind the school, teach them to play basketball. 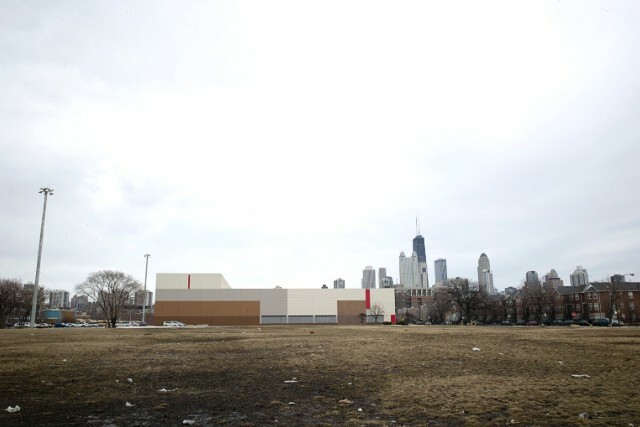 There's now an open field and a Target store where the Cabrini Green high-rises once stood. That was the way I made it -- because of the poetry and the basketball. There's not many 49-year-old Gangster Disciples left from the era I came up in. All my friends are dead or incarcerated. The people that come around now are younger Gangster Disciples and they say to me, "You still preaching the same old sermon?" and I say, "Yep, that's how it is." I know they listen to me because the majority of the ones I talk to are in school, or they're working. I have a 24-year-old son and I have a 22-year-old son, they're not involved in the gangs. You either have to love or hate. Light disappears in the darkness. Those things cannot coincide together. As long as you're alive -- and trust me when I say this, I'm fighting something I never thought I'd fight, I can't even move -- there's hope that things will change. I know people can change. It's up to the person to accept change and want to change and try to help each other and try to do something better. Our purpose for living is not to benefit ourselves, but to help somebody along the way. And that's my goal. My health is gone but I cling to hope. 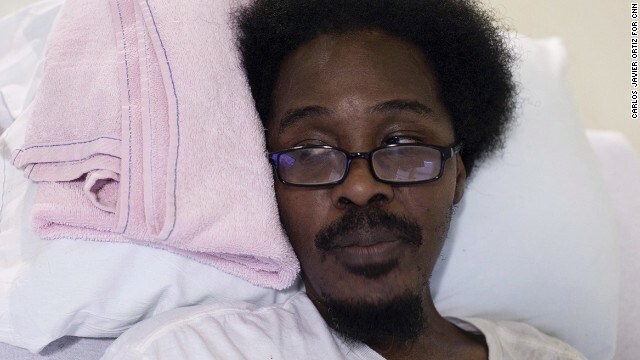 I can hardly breathe at times, but yet I have that dying hope that things will get better, not just with the Gangster Disciples here in Chicago, but everywhere. In this clip from CNN's original series "Chicagoland," Fenger High School principal Liz Dozier talks to a student about a shooting that targeted kids walking to school. Is it possible to transform a violent gang into a force for good? Lonza "Batman" Harris Jr. talks about his "hidden agenda" to change the Gangster Disciples from within. A visual look at how Chicago's people, cost of living, and sports teams compare to New York and Los Angeles. If you read the headlines out of Chicago on Easter weekend -- more than 40 shot, including nine killed -- you might be surprised to learn that the city's homicide rate is still trending downward, according to the police chief. Go to your favorite spot in the city, film a 15-second video and tell us what you love about living in Chicago. Chicago author and poet Kevin Coval writes that Mayor Rahm Emanuel is building two Chicagos, "One for the rich, one for the poor. One for private schools, one for closed schools." Live in Chicago's swanky Streeterville neighborhood and you might never hear a gunshot. But a few miles to the west or south, it's a very different story. A rising star from Chicago's South Side, Chance the Rapper, balances fame and the harsh realities of his violent hometown. When a college student walks into a Chicago barber shop to get a trim, his barber's story changes the way he sees his hometown. 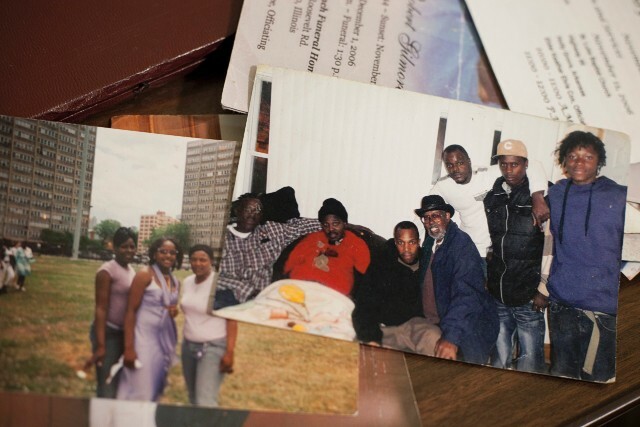 Filmmaker Marc Levin discusses the motivation behind the CNN Original Series "Chicagoland." A gallery of images chronicling Chicago's transformation from small trading post to global city. If President Obama's Chicago-based "Becoming a Man" initiative is to be successful, transformations are needed in our social institutions as well. 9-yr-old Asean Johnson speaks out against Chicago Mayor Rahm Emanuel's school shutdown proposal. Robert Redford, who achieved stardom in feature films, has moved into the world of television production with the CNN Original Series "Chicagoland." Is your knowledge of Chicago limited to just its clichés and celebrities? There's so much more to the Windy City (for example, don't ever call it that). Chicago Mayor Rahm Emanuel proposes to close some schools and is under pressure not to do so. Many studies say it's too late for disadvantaged teens who aren't doing well in school. But two study authors say that's not what they've found. Chicago is made up of hundreds of neighborhoods and landmarks. Here's a look at some of the city's communities and icons.